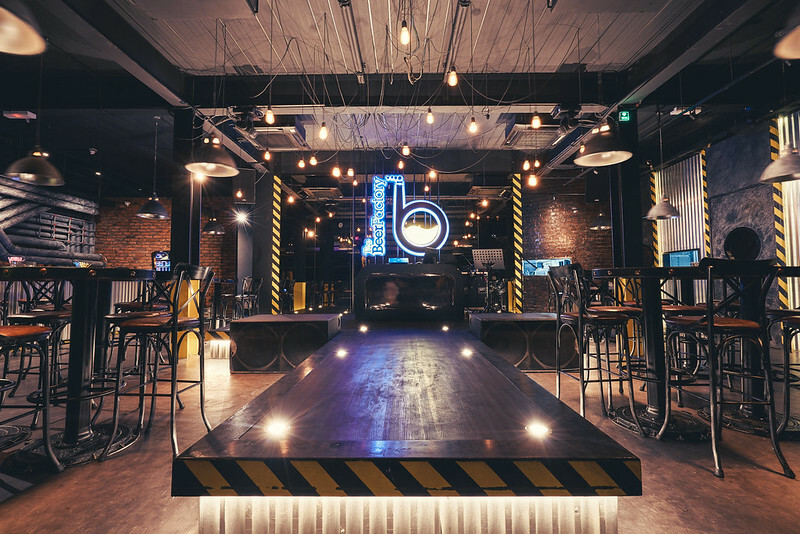 The Beer Factory landed in Kota Kinabalu on July 2017 featuring outdoor al-fresco areas, indoor industrial factory-themed bar and individualistic designs. 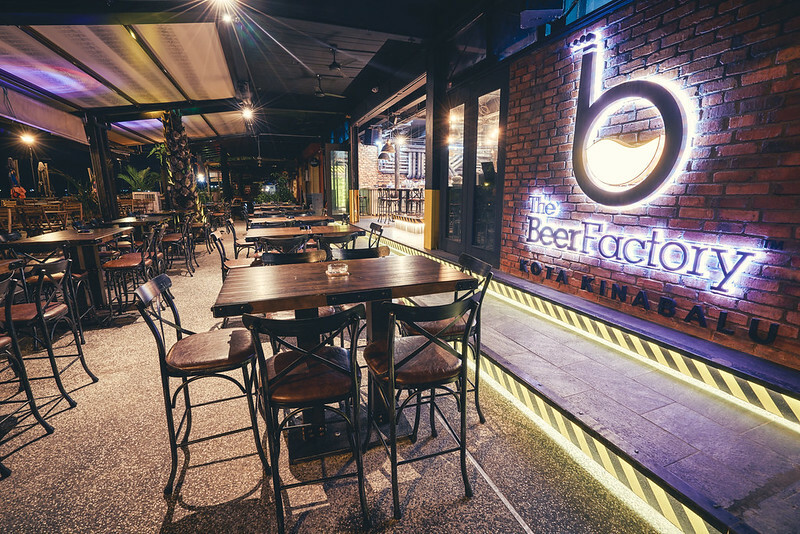 The Beer Factory KK is their 11th outlets around Malaysia. 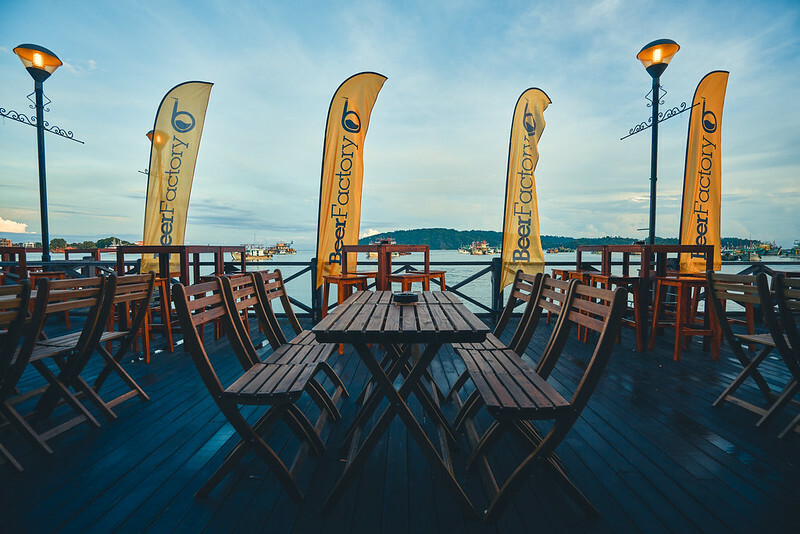 Located at Kota Kinabalu Waterfront, The Beer Factory is fast becoming a favorite place for beers and foods while enjoying the world famous sunset of Kota Kinabalu. 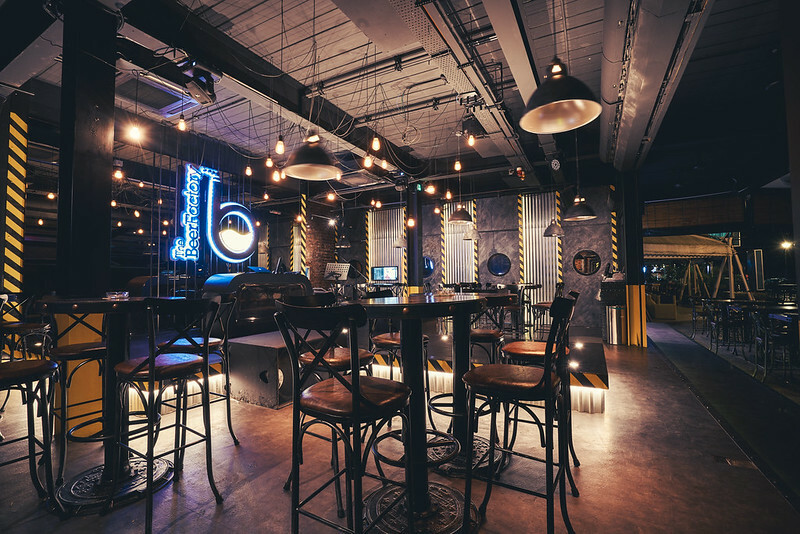 The Beer Factory offers Guinness, Heineken, Carlsberg and Kilkenny draught beers. 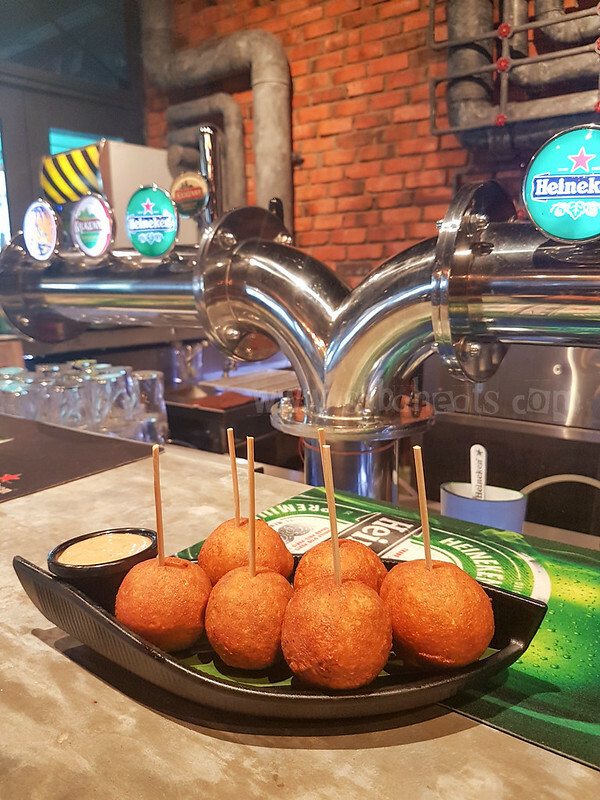 Snacks and meals are available at The Beer Factory. 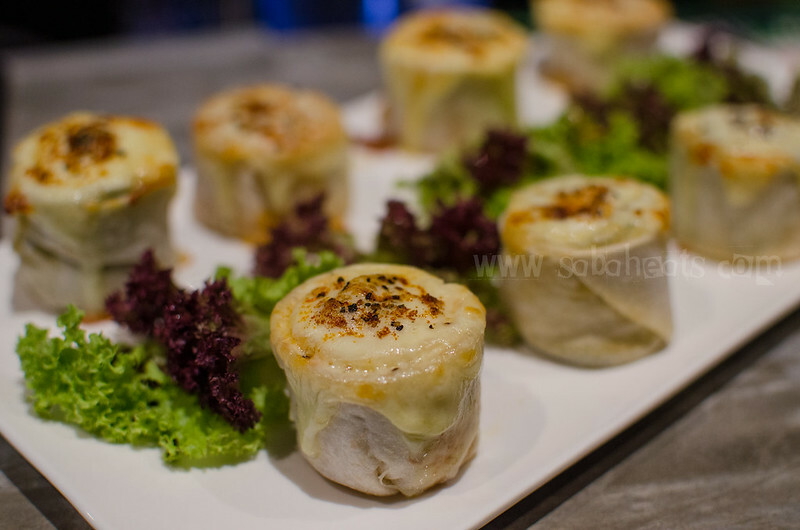 We had Cheesy bacon ball roll pizza and salted egg yolk chicken wings which goes perfectly with beers. 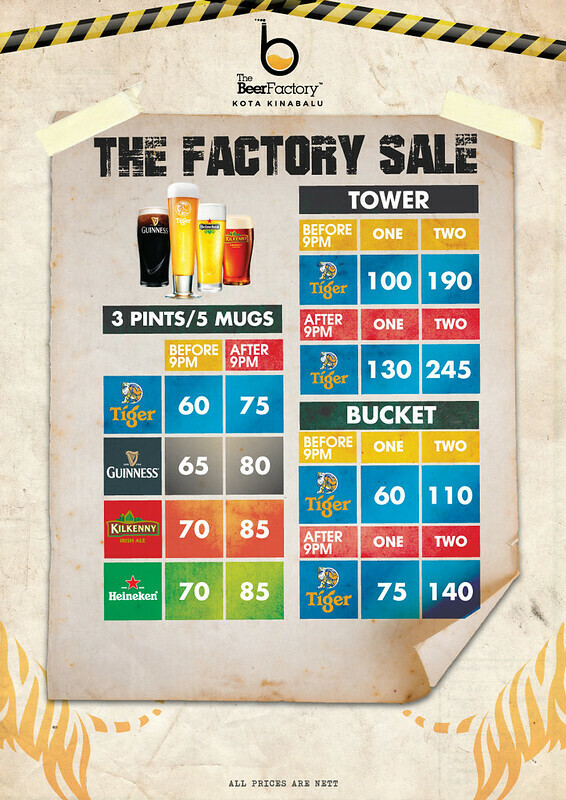 Special price for the beer before 9pm every day at The Beer Factory. 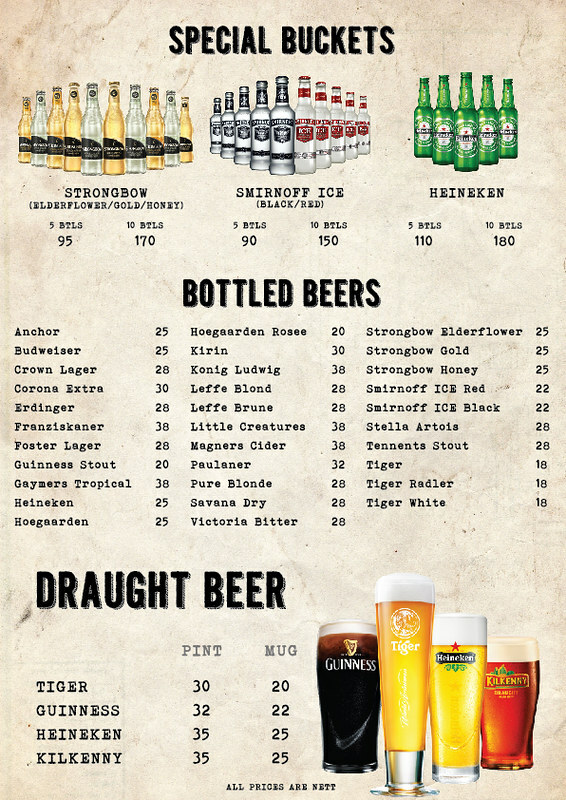 large selection of bottled beers are available at The Beer Factory. 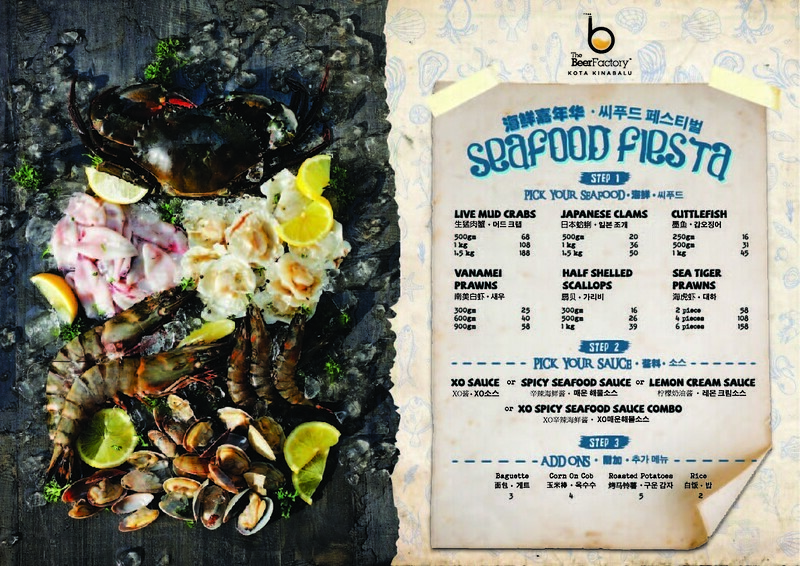 Unique to The Beer Factory Kota Kinabalu Waterfront, The Beer Factory introduced Seafood Fiesta Combo to complete the dining experience. 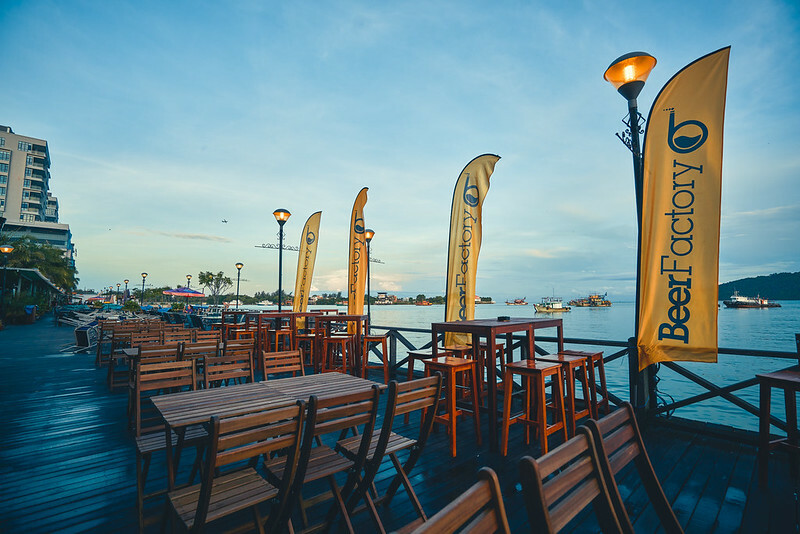 What better way to enjoy a beautiful seaside view with a mountain of fresh seafood and beers. a layer of white canvas is lay on the table before the seafood is being spread out on the table. 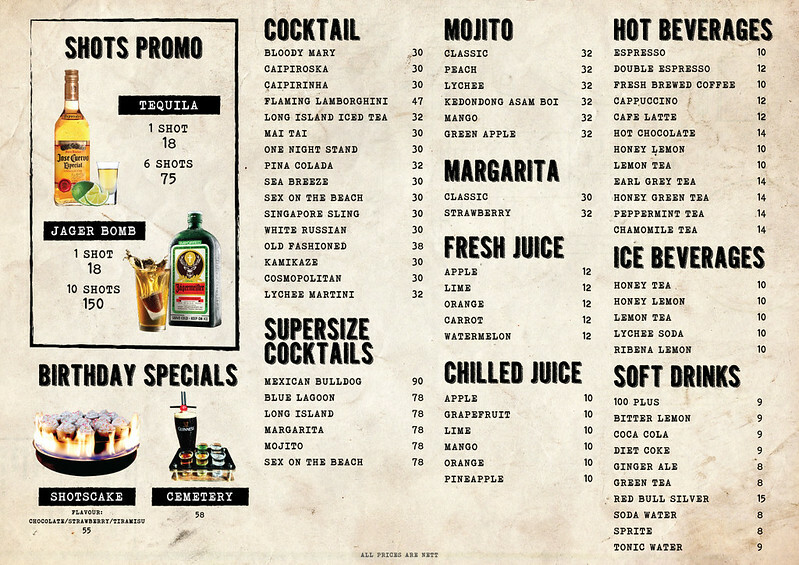 3 combos available depending on the size of the dining group. 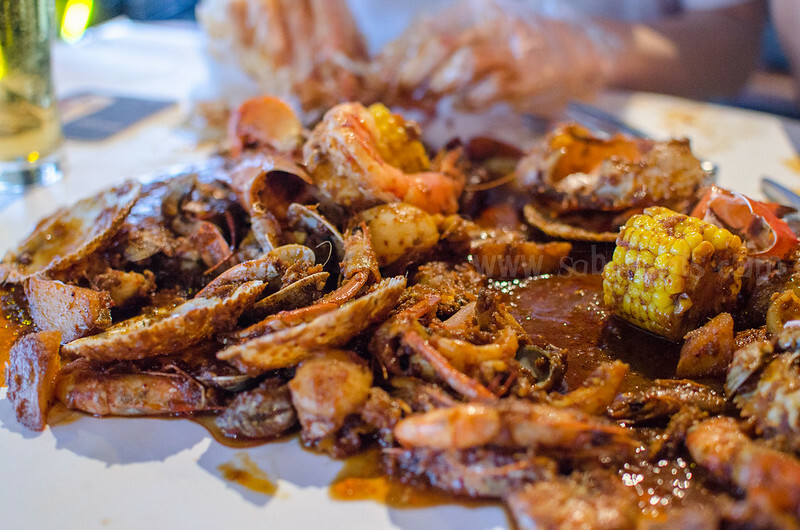 Expect to find mud crab, Japanese clams, cuttlefish, prawns, scallops and tiger prawn in a large bowl of freshly prepared seafood with the 1 of the 4 sauces available. Choose add-ons such as Baguette, corn on the cob, roasted potatoes or rice to complete the meal. 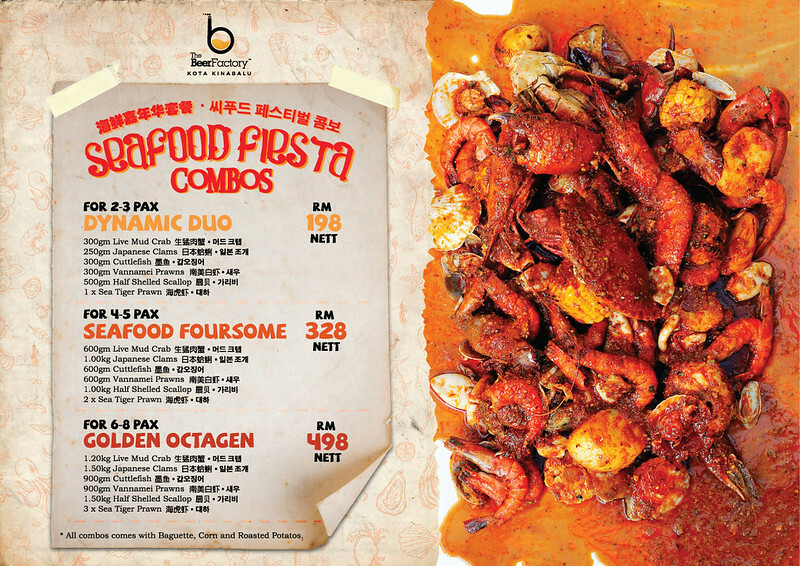 We choose XO spicy seafood sauce combo and think it goes really well with the rice. Gloves and aprons are provided to keep us clean while enjoying the seafood using hands. 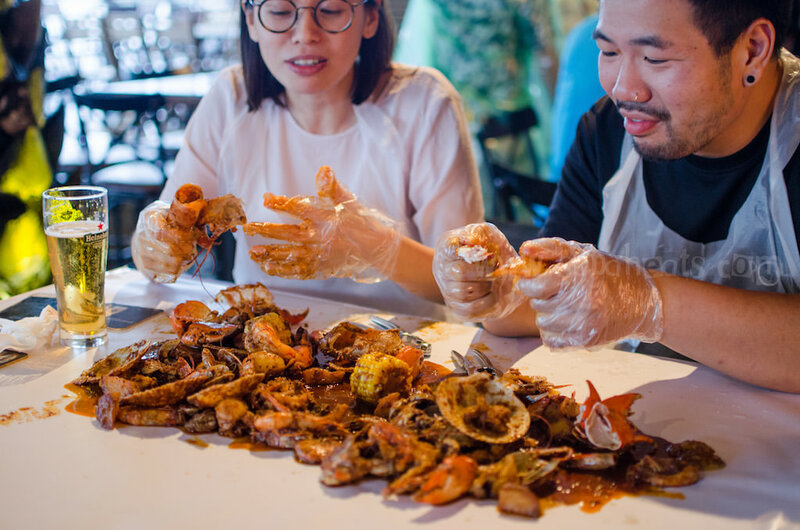 It’s fun to sit on a long table having seafood using hands sharing with friends and family. 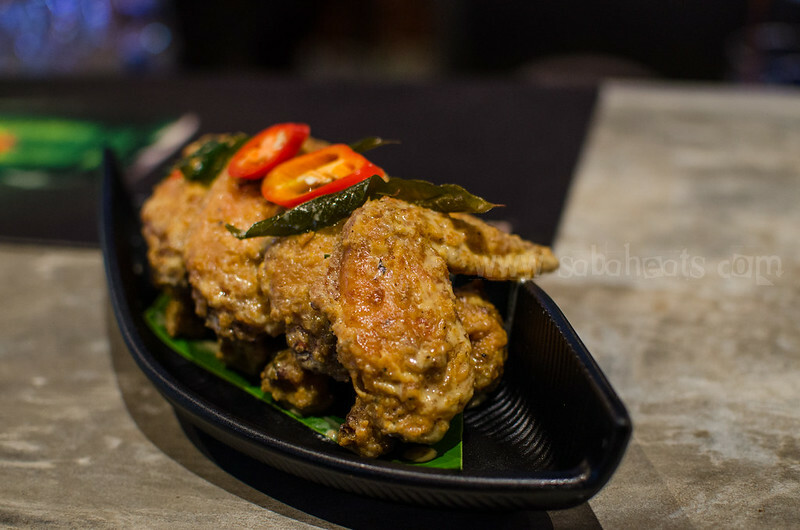 Next time I may be tempted to do away with gloves as the sauce is finger licking food! The seafood is fresh and we had great time enjoying the seafood. 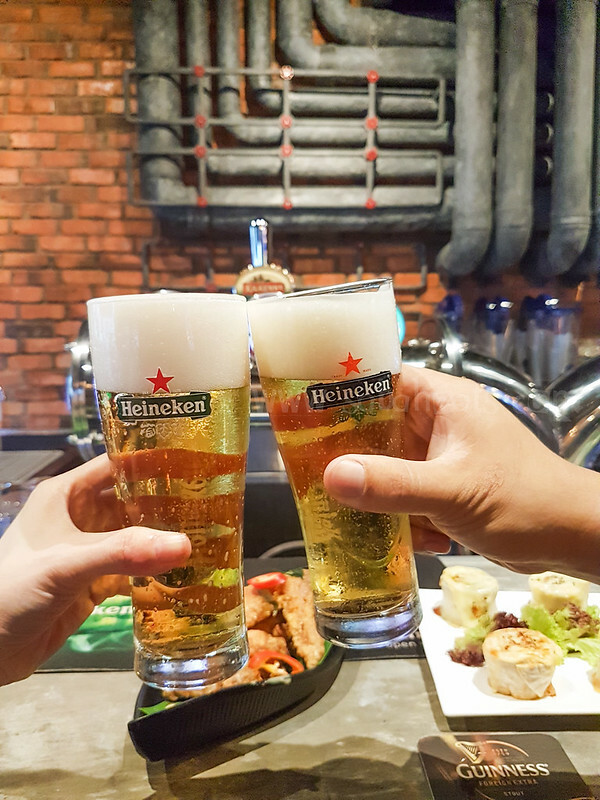 If you big fan of Seafood and want to try different way to enjoy seafood, a trip with friends and family to The Beer Factory is a must.